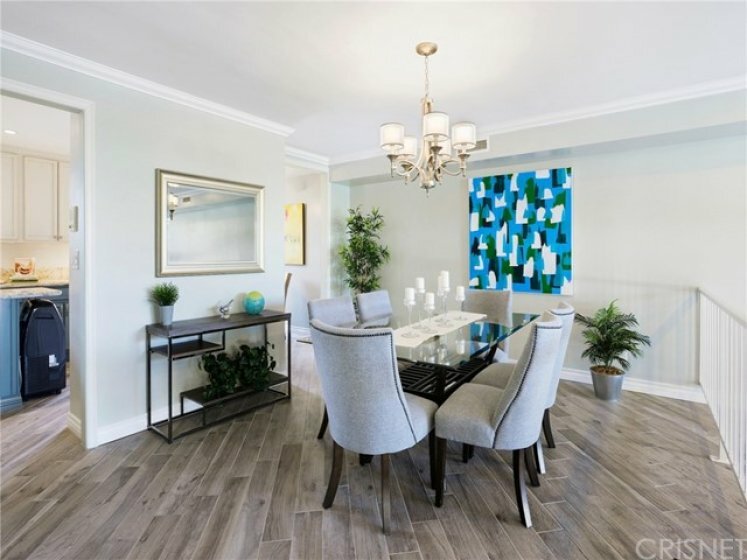 Fabulous sought after Encino Spa East townhome. This 2,344 sf. ft. bright, split level, 3 bedroom, 3 bath property has been beautifully updated and is ready for a new owner. 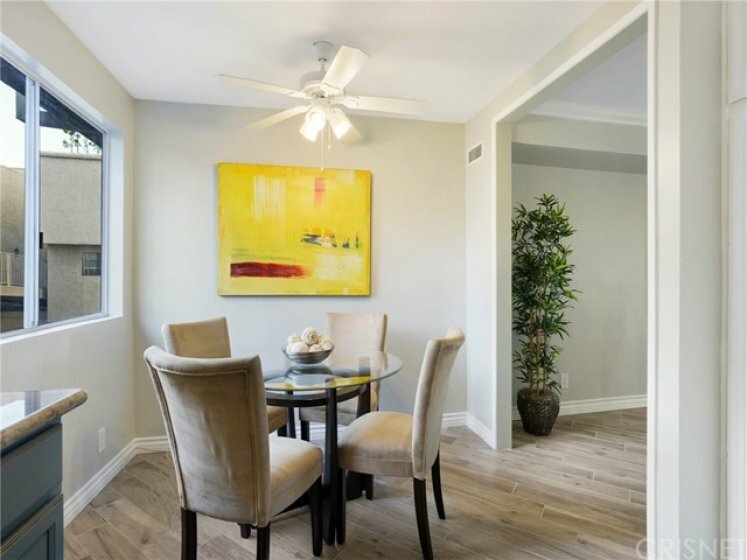 Features dramatic step-down living room with towering ceilings and sliding glass doors that open to a generous patio for your fresco entertaining. All new designer tile floors on the bottom level. 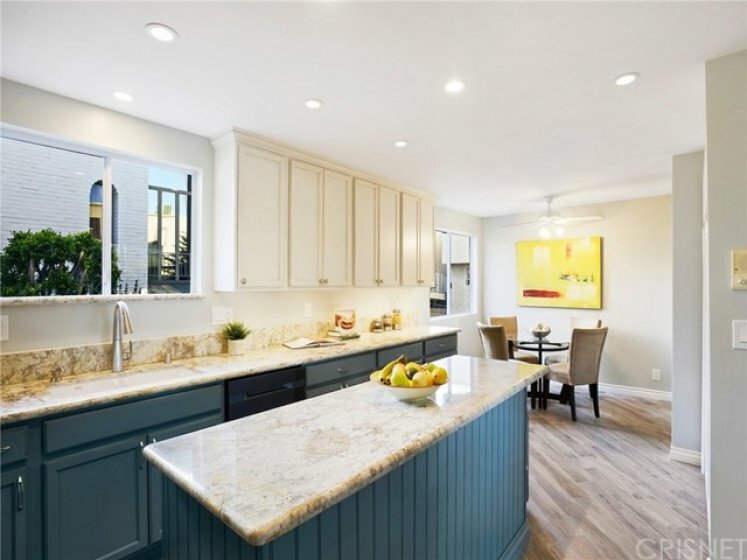 Step up to large dining area, updated powder room and into completely remodeled kitchen with large island, new cabinets and granite counter tops. It also features stainless steel appliances and a sunny eating area. There is also a charming reading/television area on the half level. Upstairs boasts a grand Master ensuite with plantation shutters, ample closet space, tub and shower, dual vanities, and a separate dressing table. 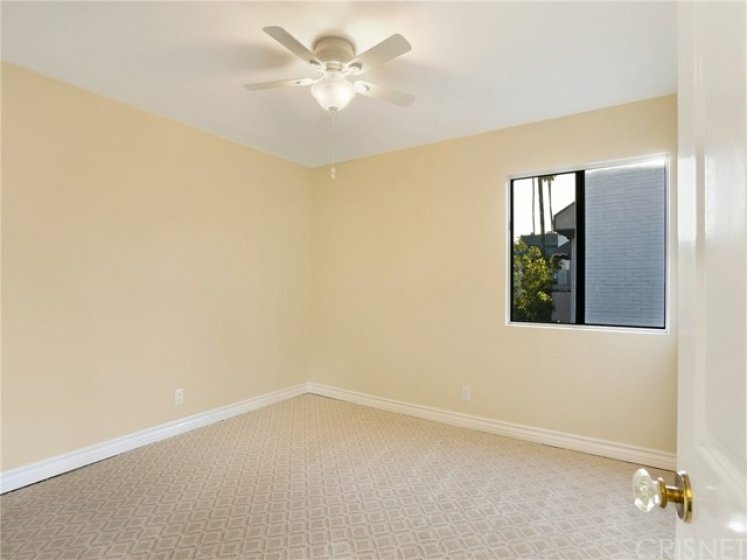 On the same level, there are two large secondary bedrooms and updated full bathroom. The property also features an attached 2 car garage with washer and dryer. 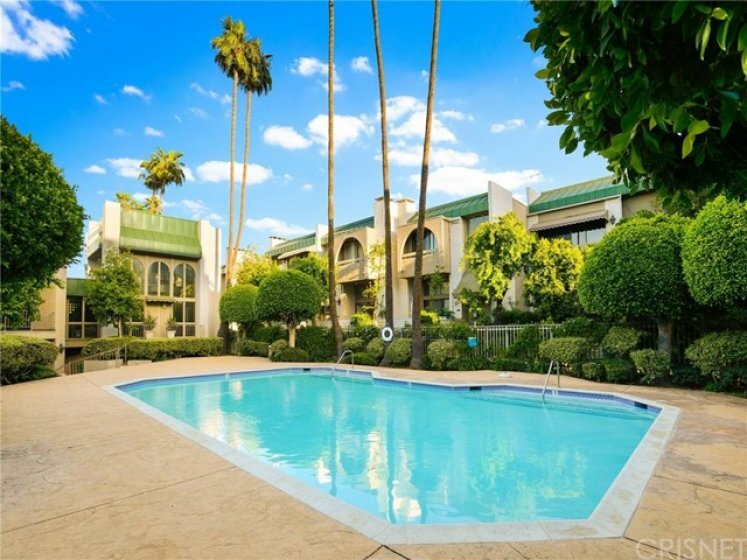 Common areas are lushly landscaped and beautifully maintained with a large hotel like pool. Other amenities include a spa, exercise room and club house. 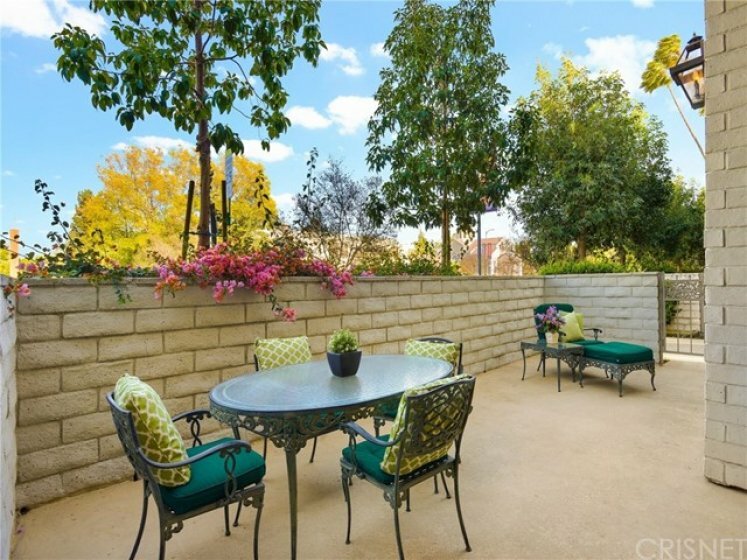 Conveniently located close to the Blvd with Encino's many shops and restaurants. Listing provided courtesy of Terry Thompson at Wish Sotheby's International R.